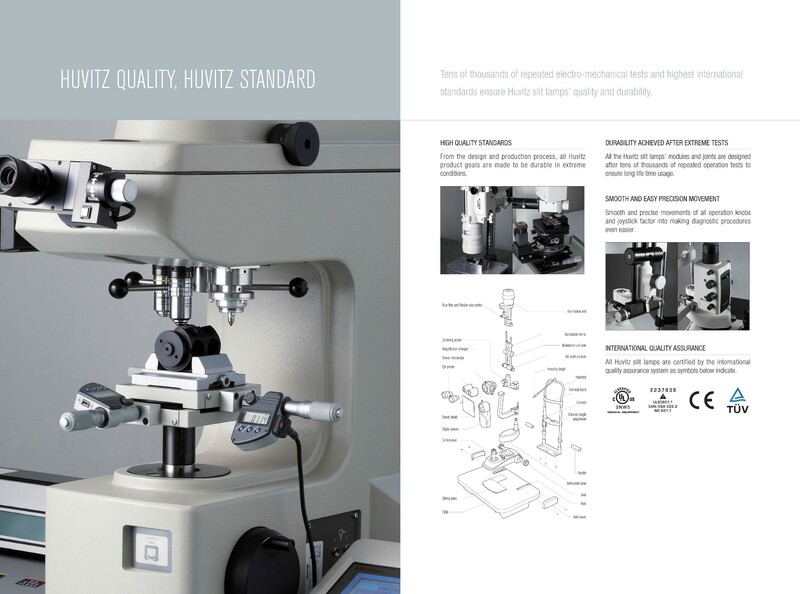 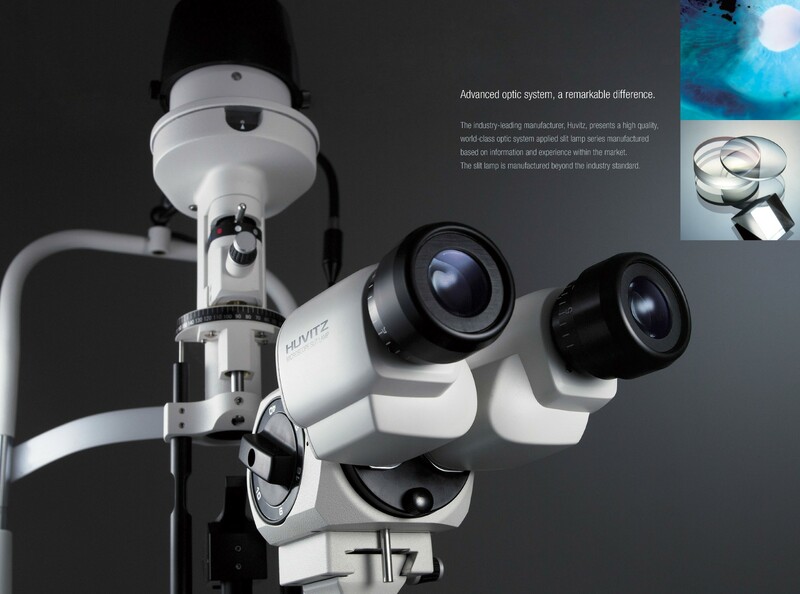 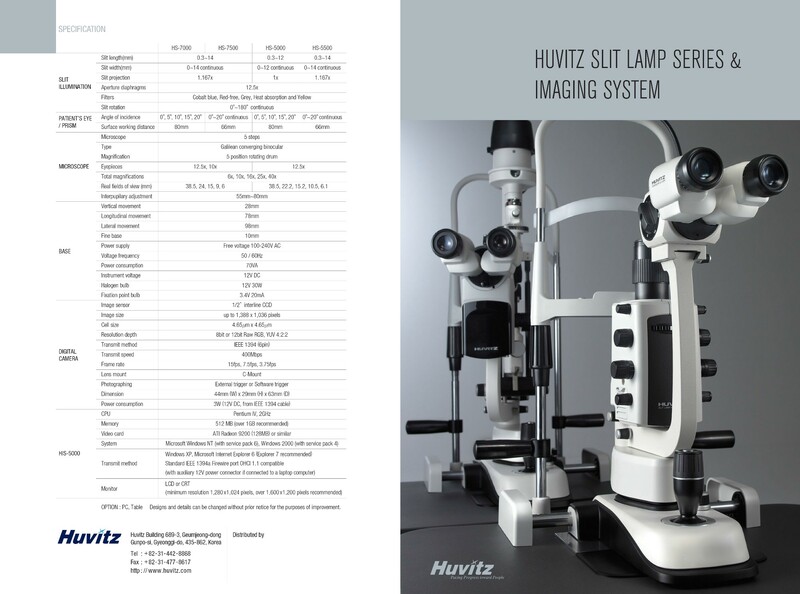 With the global standard Galilean converging binoculartype optic system, the Huvitz high end slit lamp series offers a wider angle, live image and increased accuracy. 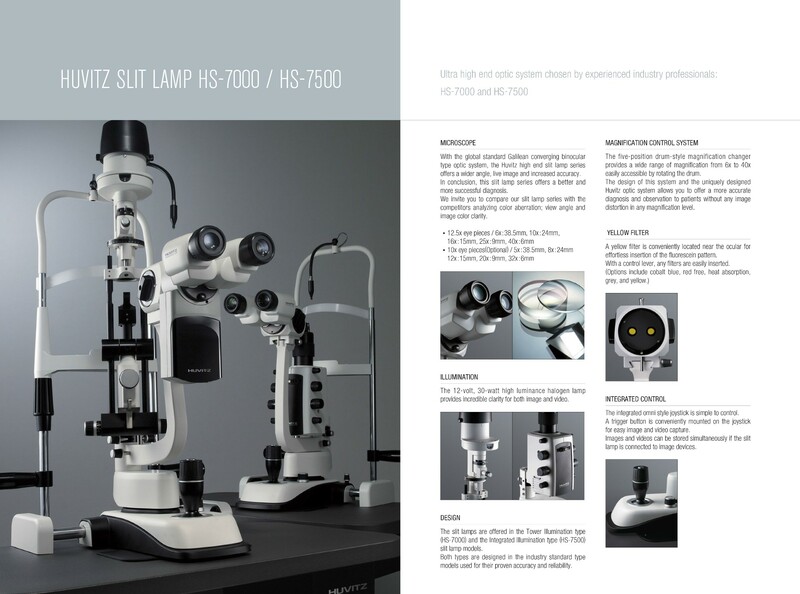 In conclusion, this slit lamp series offers a better and more successful diagnosis. 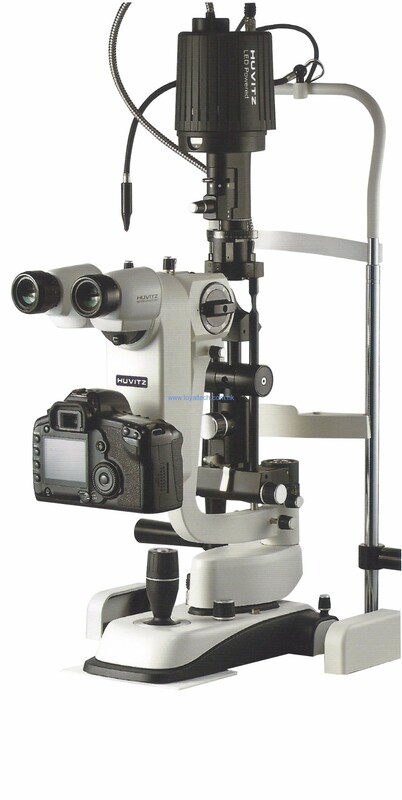 The five-position drum-style magnification changer provides a wide rangeof magnification from 6x to 40xeasily accessible by rotating the drum.The design of this system and the uniquely designed Huvitz optical system allows you to offer a more accurate diagnosis and observation to patients without any image distortion in any magnification level. 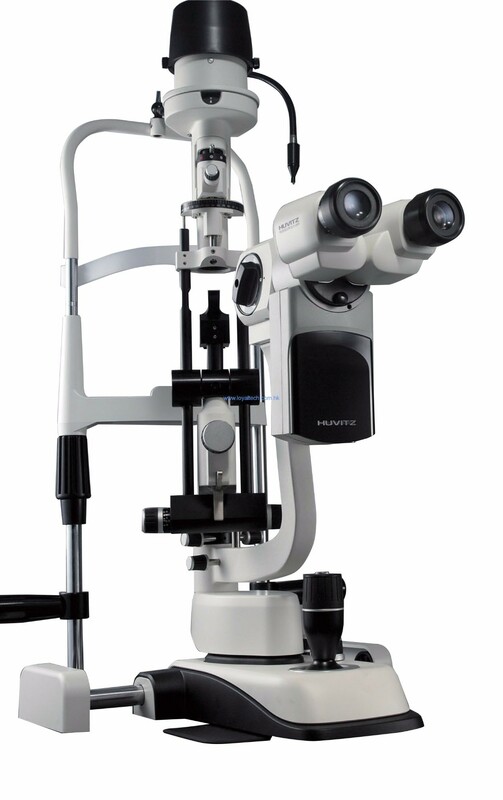 A yellow filter is conveniently located near the ocular for effortless insertion of the fluorescein pattern.With a control lever, any filters are easily inserted.